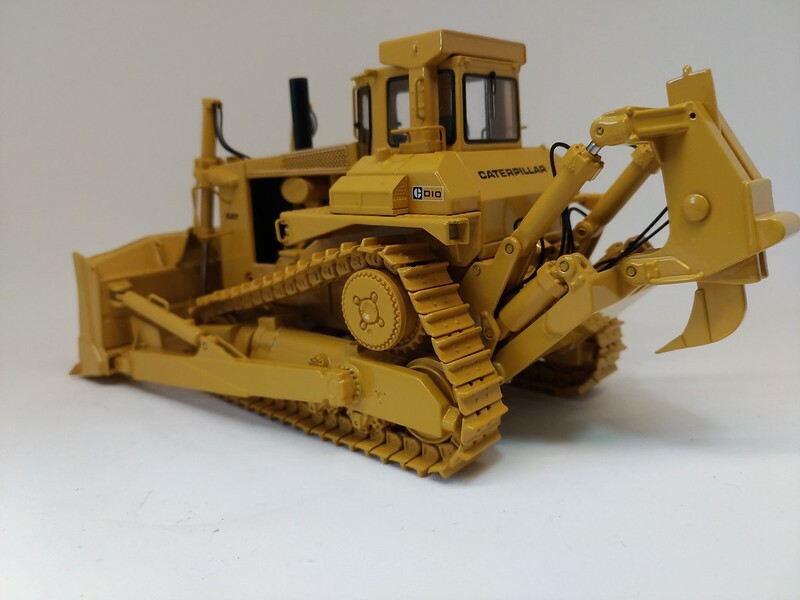 DHS Forum » Forums » General Topics » My small collection in models 1:50 - on CCM BLOG again !!! Felipe do you have any pictures or brochures of the real machine? It looks like it will be another winner. The operators station looks great. Thanks Max! This model will be nice! I will try put pics here soon, for you and Steve enjoy! I hope you like after this one becomes already done! Thanks for the video too! 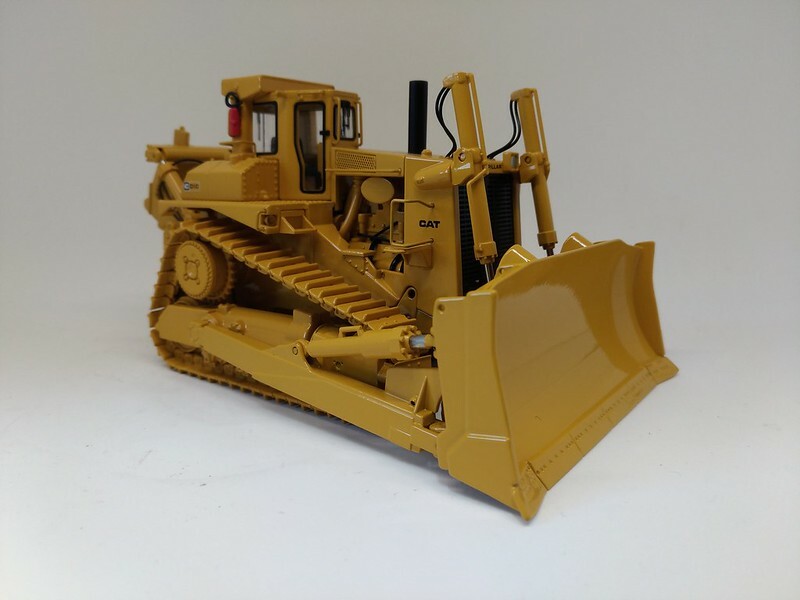 Here is the CAB that I would like to put in my dozer! Felipe that cab will look great on your custom. 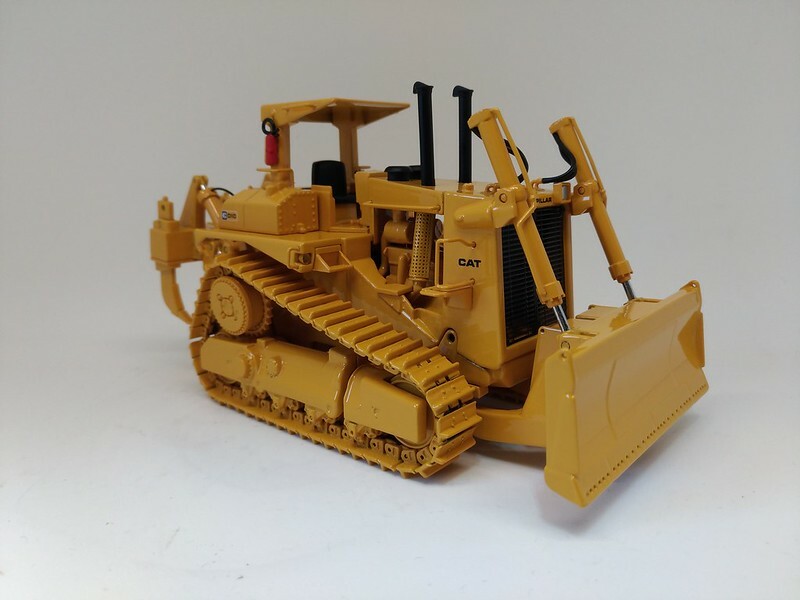 I picked up a second 41B the other day and was thinking about making it into a 21B but I don’t know if it will be possible because everything beyond the seat to the rear of the machine will have to be removed. Don’t know if I want to get into that, but I will make that decision when it arrives. 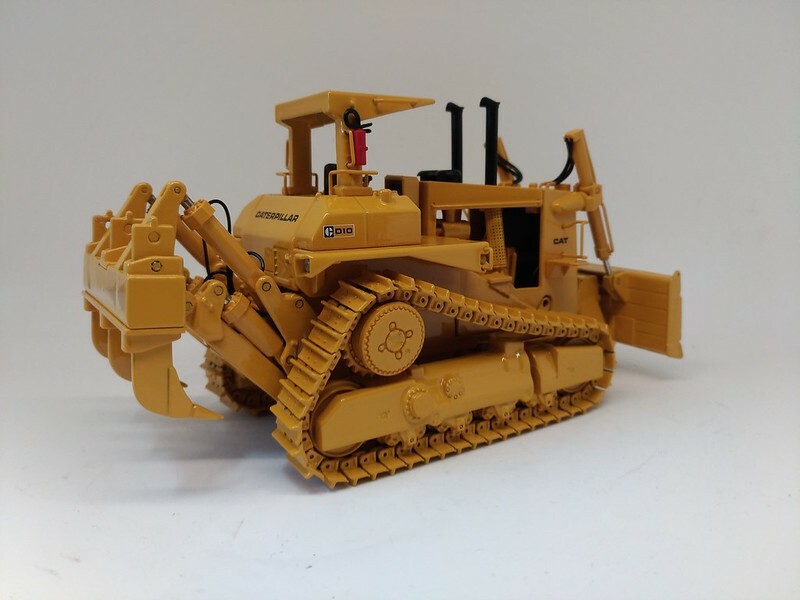 Can’t wait to see the forestry dozer as it progresses. Wold be nice see this 21B Steve! I'm working on TD25E now. Many project in the same time, but i think I'll show more about this D8 soon! I'm working in the muffler for now. I will spend a bit of time with this cab for sure! Felipe please take pictures through the process of making the cab. your cab of choice is a good example of a local provided one! Regarding the tree pusher and radiator protection you made, I bet you will add some limb raisers in front of the cab. Well,... I would demand them if I would be your operator. 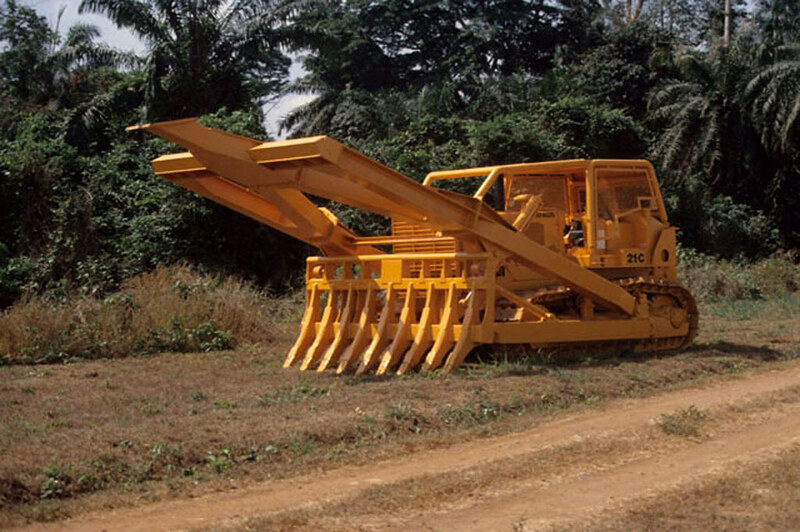 Steve here is a picture of a HD21 C, though, but it is very similar equipped to Felipes forestry D8K. Are you talking about making a 31B maybe? Max after getting all scaled measurements off my 41B, it scales out closer to a 21B than a 31B. 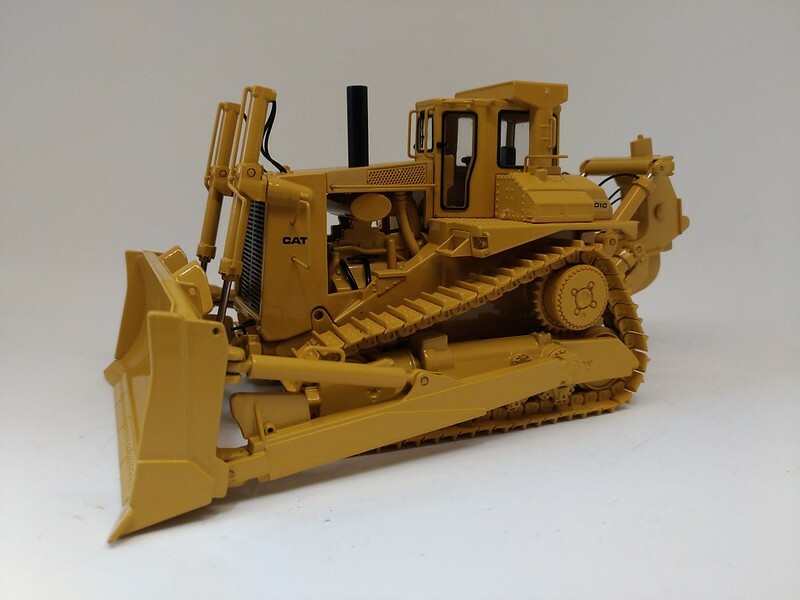 I have brochures on all the dozers with the lengths, widths and heights, and the 31B from front of blade to back of track is 3’ longer than it should be when scaled whereas the 21C from front of blade to back of track is a little less than 1’ shorter when scaled. Also the heights of the hood, air cleaner,top of ROPs and the width are spot on for a 21B. The width of the 31B is 2’ wider and 1.5’ higher than it would have to be when scaled. The 41B is not even close to being a 1/50 scale, but it is still a great looking model. Again I don’t know if I will make it a twin to my other 41B or get involved and make a 21B. your cab of choice is a good example of a local provided one! Regarding the tree pusher and radiator protection you made, I bet you will add some limb raisers in front od#f the cab. Well,... I would demand them if I would be your operator. welcome. I'm in the middle of a research for a land-clearing related article. Regarding the equipment and the fascination of using it. I can second your reception of this tree usher - it IS big! The 21C must have been arround 300 HP, but this pusher would fit a D9H for sure. 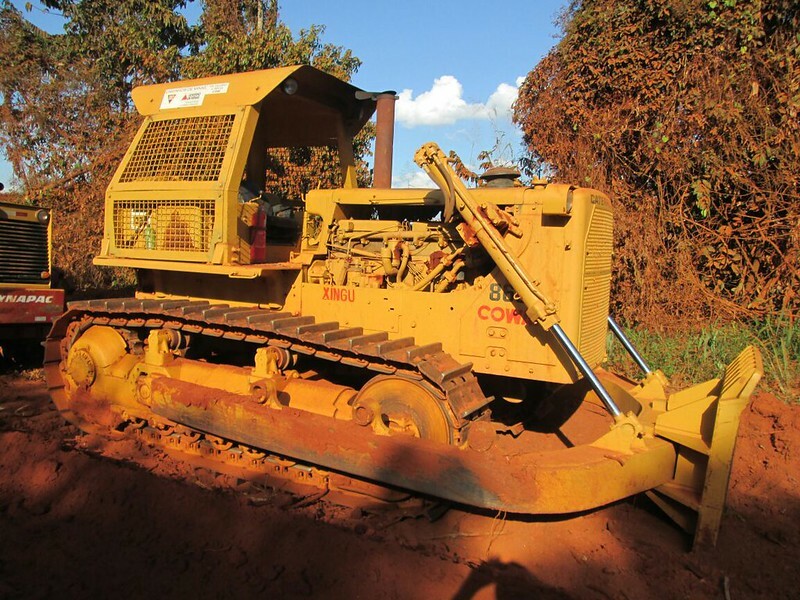 Most tree pushers or tree spears I have seen have the shape of a big A and seem to be attached only to the push arms of the dozer blade, not the blade itself. The advantage of a tree spear is not only bigger distance to the tractor (safety), but also a simple trick of physics: The more resistance the tree offers, the more pressure is applied to your tracks, increasing your traction. I would use this 21C rig as follows (regarding trees up to 2 feet in diameter): Start tipping the tree with the pusher, apply dow force by blade hydraulics. Back up the tractor from falling tree, use then the rake to remove root system. Hope this helps. 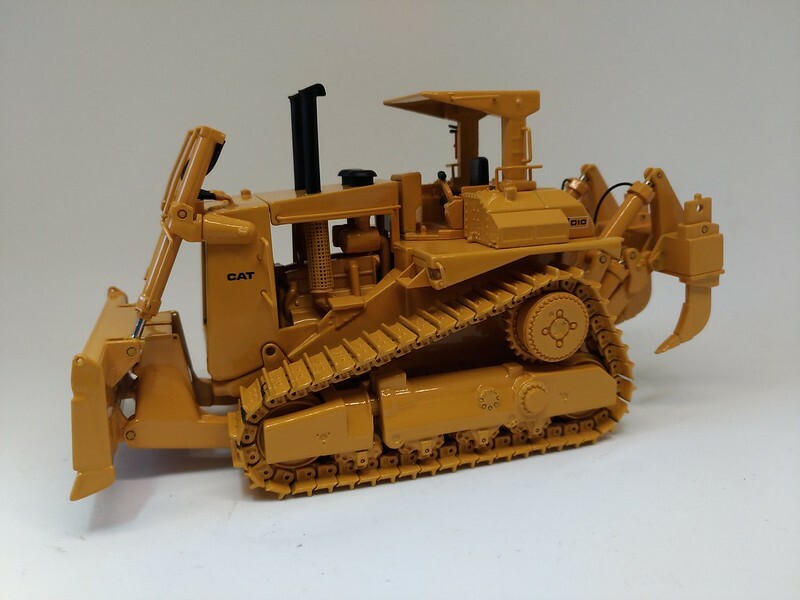 Have pre-ordered a D9G rip dozer here and would love to add a pusher and canary cage to her. Max you are correct about the 21C it was 300hp. Max, I agree with you about limb risers and for sure I'll think a way to put it, but with option to take of. Nice 21C! Great pic and good idea for another modified model using D8K! 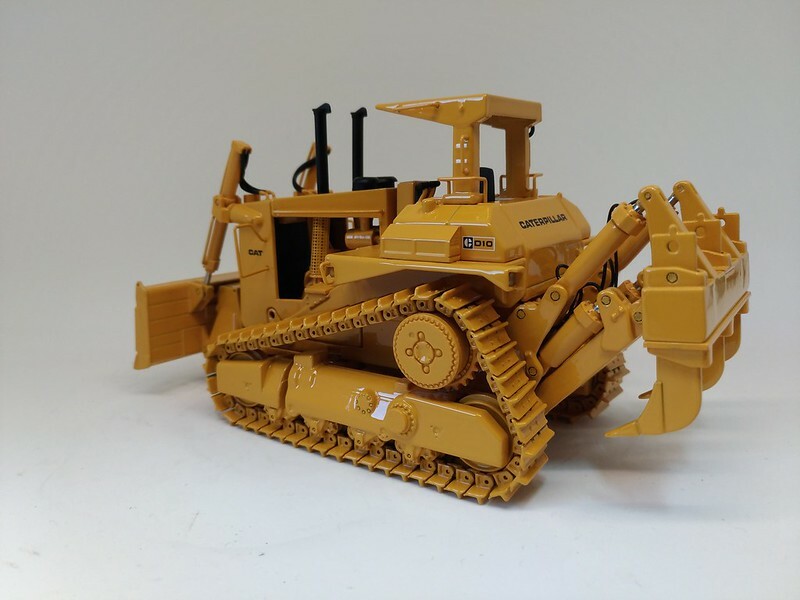 I'm working in a TD25E with ripper and rops cab too. I hope show thmem to you together and soon! Before you will see the sheep foot rollers! 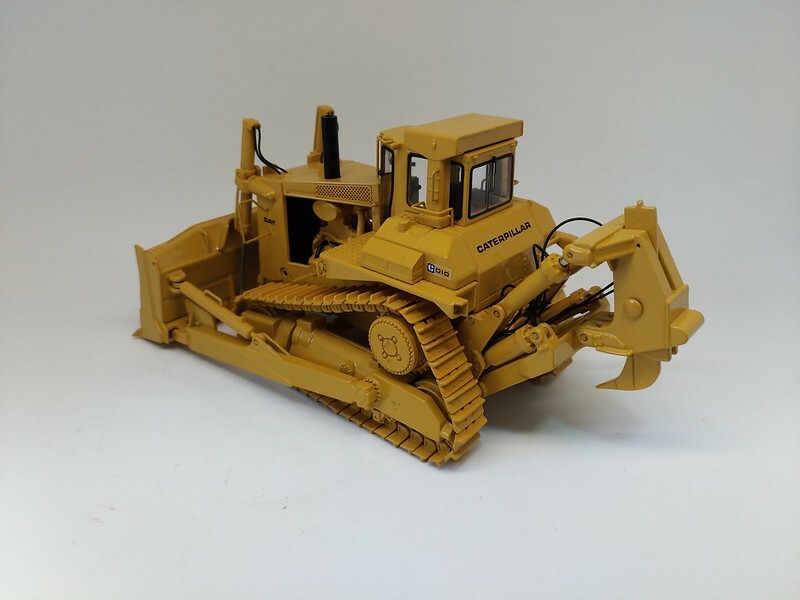 Now my D10 with pusher and ripper. Soon the 6090FS. I think it will arrives on next week, I hope! Felipe 6090F’s arriving soon, is Christmas coming early? 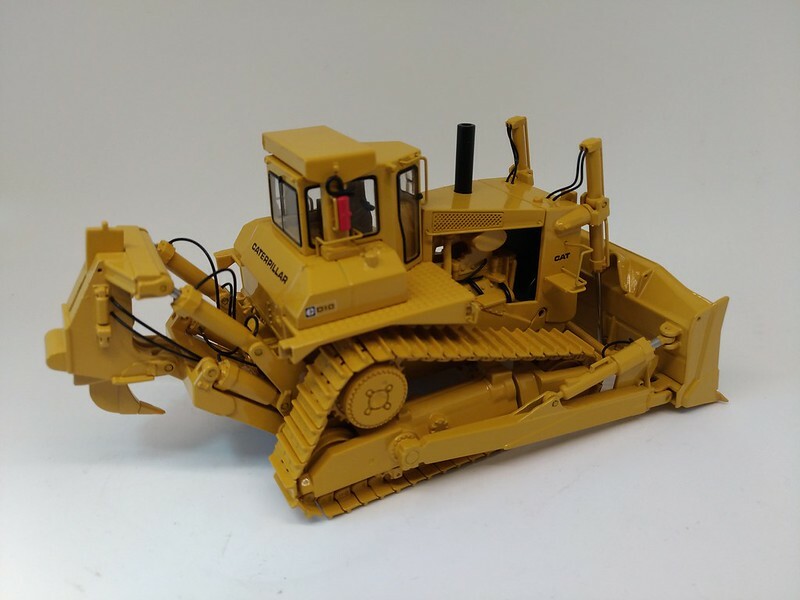 Great shots of your D10 pusher, I have mine behind my McCoy Cat 666. Maybe someday they will make it into a diorama. Felipe those are great models. Felipe the last time we talked you said you were going to tell Quinella I was very weird.